Monster Hunter World Getting More Street Fighter Armor Any more crossovers coming to Monster Hunter World? How about more Street Fighter armor? Monster Hunter World has been having a fun time bringing in other Capcom franchises into the fold. Street Fighter, Mega Man, and now Devil May Cry have been put into the game in one form or another. 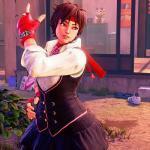 Street Fighter has been brought in via special armor sets that are inspired by characters like Ken and Ryu. Classic Kingdom Revealed For Kingdom Hearts III What sort of sidequests and adventures will there be in Kingdom Hearts III? Anything good? While fans are eagerly awaiting the newest full story trailer for Kingdom Hearts III, Square Enix has dropped a lesser trailer showing off some mini-games you can play. 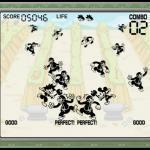 The style of the games shown are in the vein of the old Game & Watch handhelds, and are sure to stir up some memories if you were old enough to play them. No word yet though on how this will affect the larger scale game, or when Kingdom Hearts III will finally release. 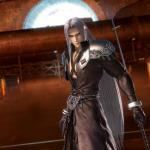 Will Dissidia Final Fantasy NT Become An eSport? How has response been to Dissidia Final Fantasy NT? Are there plans to bring competitions centered around it? 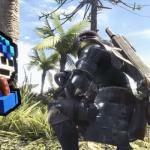 Mega Man Gear In Monster Hunter World Now Available Where is that Mega Man Gear in Monster Hunter World? Where can I get it? Capcom has not been afraid to bring in its other franchises into Monster Hunter World. To that end, from now until April 26th, you’ll be able to complete the “Rush of Blood” event, which will allow you to gain access to the Mega Man gear within the game. Check out the tweet showing it off below. Once this particular event ends, Capcom will bringing forth the Devil May Cry event. Darksiders 3 Coming In August? 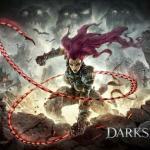 When is Darksiders 3 coming? Could it be soon? Darksiders as a franchise almost died when THQ went under, but THQ Nordic has kept it alive, and as such, Darksiders III is coming. But outside of a few tidbits, there hasn’t been much news or expansion upon what we know. However, a listing in EB Games states that the game might be coming out in August. The date was later updated, but that seems a bit random to just be “thrown in”. We fully expect to see the game at E3 2018, so hopefully we’ll get more information soon. 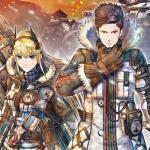 Valkyria Chronicles 4 Shows Off Video For Third DLC What kind of DLC will Valkyria Chronicles 4 have? Can we have a look? While Valkyria Chronicles 4 is already out in Japan, we in the rest of the world have to wait for it. What’s more, DLC for the title is already being released and teased. A week from now, the third set will release in the form of “Raid Battle Hard EX”, which is set to make things even more difficult for the player. Check out the video for it below. 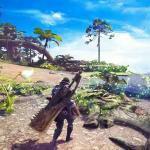 Monster Hunter World Details Major Bug Fix Will Monster Hunter World fix some of its bug issues? If so, when? Ni No Kuni II Almost Wasn’t Released In Japan Why did certain things get revealed like they did for Ni No Kuni II? What was Level-5’s plan? 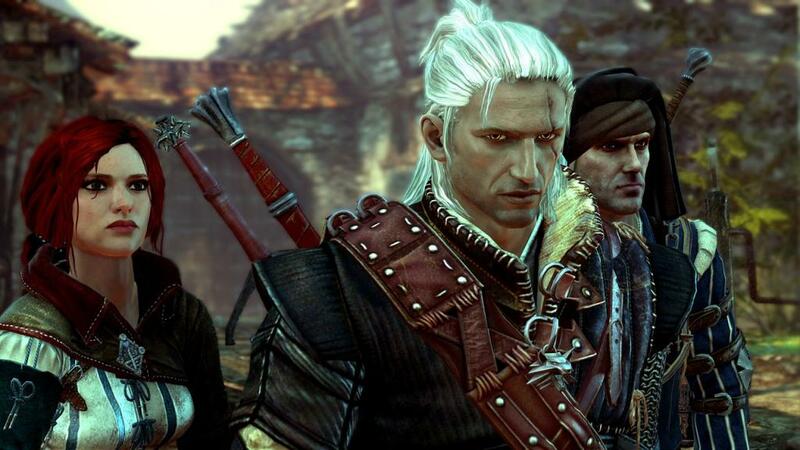 Video games are developed to make money, but, sometimes that also means developing a game for a specific region. For Level-5, despite them being based in Japan, their latest game Ni No Kuni II: Revenant Kingdom almost wasn’t released in Japan. Or at the very least, they didn’t know if they would bring it to Japan at first. 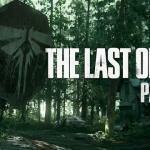 Last Of Us Part II Playtest Done? What’s the status on Last Of Us Part II? Where’s Naughty Dog at with development? The Last Of Us Part II is without a doubt one of the anticipated games possibly coming out this year. And any piece of news is welcome for fans who want to find out more about what’s going on with Joel, Ellie, the world they live in, and what plans Naughty Dog has for them. Well, in an interview (see video below), Troy Baker, who voices Joel, said that the playtest for the game was just done, and he thinks it looks great. Ni No Kuni II: The Revenant Kingdom Out Now Is Ni No Kuni II out yet? What’s it about again? 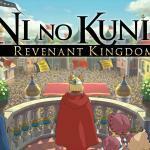 After much waiting and many delays, Level 5 has finally released Ni No Kuni II: The Revenant Kingdom. In it, you’ll play as a young king who was deposed from his kingdom, and now seeks to not just rebuild, but make the whole world a better place in the process. Along the way, you’ll meet new allies as well as foes, and use a brand new battle system to take on armies and help expand your kingdom. For a better look at the game, check out the launch trailer now.